Enjoy Mother Nature’s magical soundtrack as the ocean’s waves lap the shore just footsteps away as you move through a rejuvenating and relaxing yoga class on the sand. 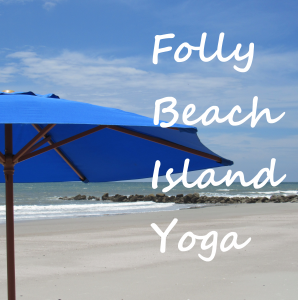 All of our beach yoga classes on Folly Beach are held on the sand at 5th Street East and are taught by a 200 or 500 hour certified yoga teacher. Remember to bring a large towel or two (recommended), or mat if you prefer, sunscreen, and plenty of water to the class. Our public beach classes are all open level unless otherwise specified View our schedule or purchase passes.